gobodyworks transforms the way you think of massage by promoting health and wellness, preventing injury, and reducing stress. Tailored to meet your individual needs, On-Site—At home or in the office. gobodyworks provides massage therapy for both groups and individuals at your home, office, or corporate event. Using a portable massage table, chair, or zero gravity lounger, we provide services almost anywhere. Offering a customized experience every session, gobodyworks creates highly personalized massages to meet your unique needs. 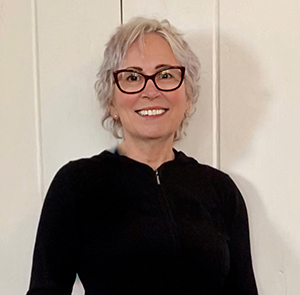 With training from the Swedish Institute College of Health Sciences and 18+ years experience working as a licensed massage therapist in the health, fitness, and beauty industries, you're in good hands with Linda Brown and gobodyworks. Each session will combine a number of massage techniques, tailored to meet your specific needs. Call for corporate and personal event pricing, package pricing, as well as group discounts. All sessions are by appointment. If you need to change or cancel an appointment please give 24-hour notice. Through Linda’s focused work on my shoulders, neck, and face, I’m still amazed to see the years melt away. Some people talk about miracles in a bottle, hers is in her two hands. After my first massage with Linda, I was hooked. I’ve been to several massage therapists over the years and she blows them all away. She is now working on the entire family from my 15 year old son to my 74 year old mother. She is truly gifted. Linda is a special person who is always interested in how one is feeling and what specifically she can do to help with any problems. I look forward to my day of massage–having had massages when traveling, I would pick Linda above anyone else. I have worked with Linda Brown for many years and keep coming back. She is professional in the best sense. Her massages are very therapeutic and healing as well as relaxing. And Linda is a doll! Compared to the many massages we have had with numerous others, we have no hesitation in stating that Linda is the very best! She has tremendous knowledge of anatomy and how the body works, and her skills are superb. Serving Manhattan, Westchester, Putnam, and Dutchess Counties in New York since 2000.